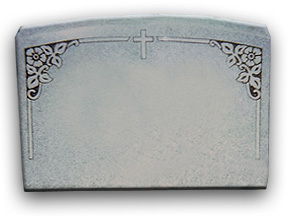 Grave headstones remain today the world's most popular way to permanently memorialize deceased loved-ones. 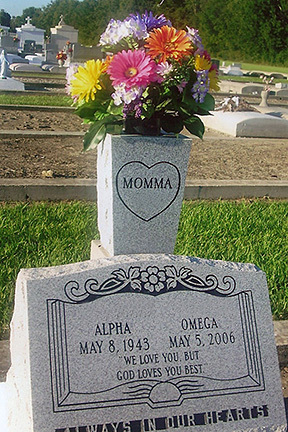 Following centuries of tradition, in cultures all across the globe, most people alive today can expect to be remembered through the ages by grave headstones personalized to include their names, dates of birth and death, special designs, and other relevant information. 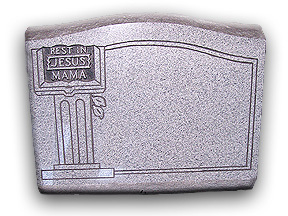 The styles of most grave headstones has changed rather dramatically in recent years. 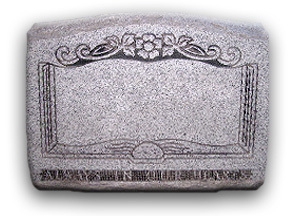 For many years most grave headstones were large, up-right pieces . 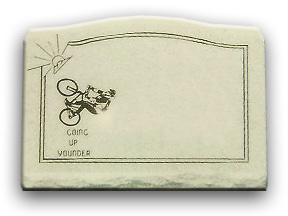 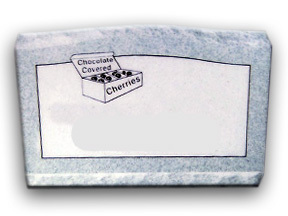 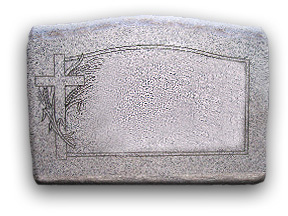 Meanwhile, smaller grave headstones are now most commonly used to mark individual graves. 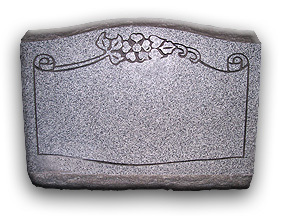 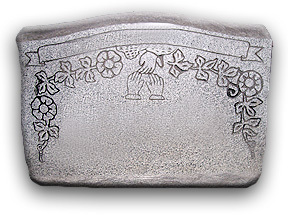 Smaller plaque-like pieces made of bronze, granite, or a combination of the two, are displayed directly on the ground at the head of a grave. 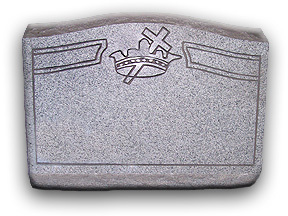 Slant Stones Sizes: 2" x 10" x 1' - 4"